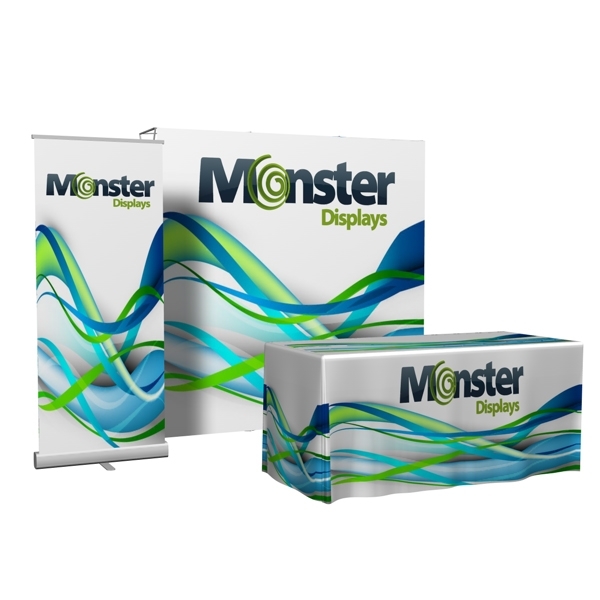 The 8ft Straight Floor Tension Fabric Pop Up system combines the popular convenience of a banner stand with the impact of a pop up display wall, combine its professional look and presence with our 6ft 4-Sided Table Cover Full Dye Sub and 33"W ECONOMY Retractable Banner and rest assure that your brand will really make a statement difficult to be forgotten. Both our banner and display are lightweight and easy to set up. Choose your graphics and get ready to make your brand shine with this incredible kit. 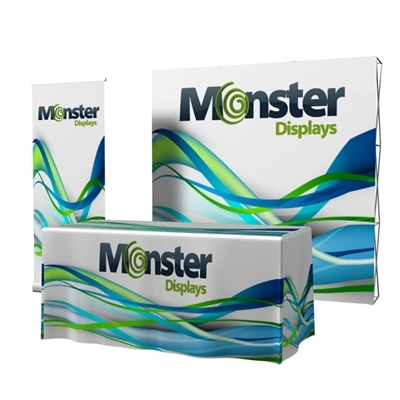 Popup: 32" x 17" x 14"
Banner Stand: 42" X 16" X 16"
Total Dimensional Weight: 137 lbs. Can ship within 7 business days once proof approved Artwork is received. 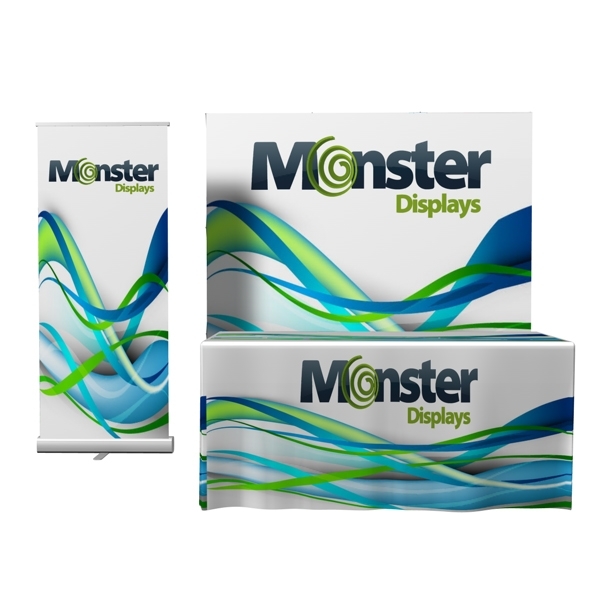 Pop Up Graphic Panel: 115.9" W x 89.2"